Varied terrain, a warm climate, and an airport. These are the reasons that Girona tops the list of any professional cyclist looking for a home. But the city, and the region of Catalonia in general, has so much more to offer riders – especially if your list of priorities puts food and fun times a little higher than race-winning fitness. This part of Spain isn’t just a mecca for bike riders, either. 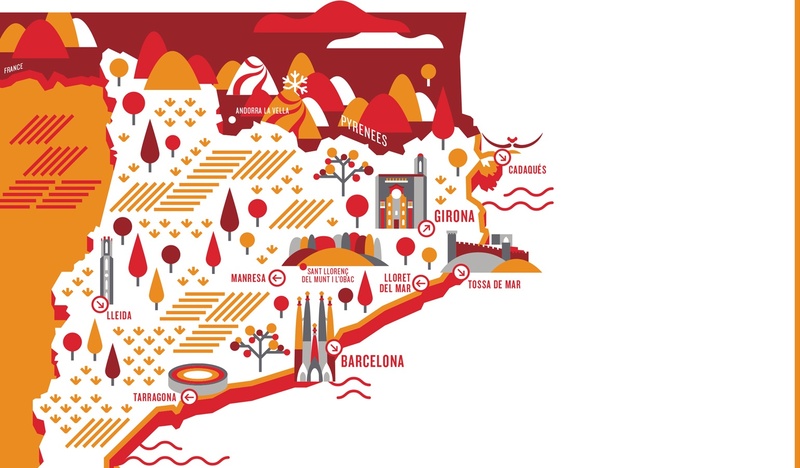 There might be more tourists in Barcelona, but the Catalonian capital’s sister city is preferred by more experienced travelers who know that Girona is second-to-none when it comes to serious cuisine and culture. From Roman ruins to the hippest bars and eateries, it has something for everyone. Using his first-hand experience of living and training in this beautiful part of Spain, veteran of the pro peloton Ted King has designed an unforgettable week to add some Spanish heat to the inGamba calendar. 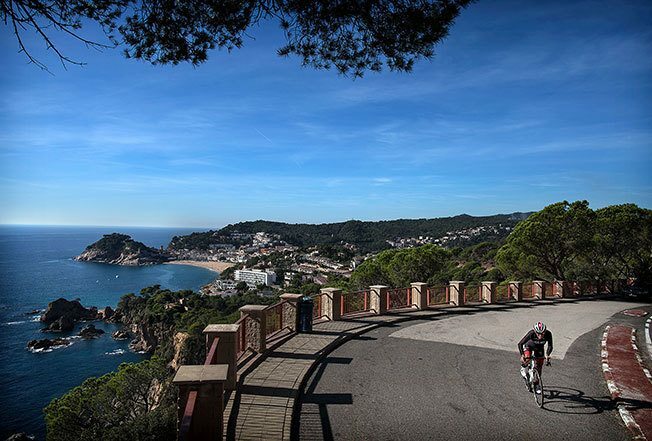 From to the foothills of the Pyrenees to the picturesque Costa Brava beaches, we’ll show you one of the world’s very best cycling destinations like it’s never been seen before. ¡Bienvenido a España! This short loop should give you an introduction to the area and whet your appetite for the week to come. Your bike should be perfectly set up, but if there's an issue, now is the best time to speak to your mechanic. Beginning inland, we'll head towards the medieval village of Santa Pellaia, one of the area's most popular climbs, before heading towards the coast through the Massís de les Cadiretes mountains and on to Tossa del Mar, a charming castle town on the Costa Brava. Turning north, we'll ride along the undulating shoreline until we again head away from the sea to tackle one last moderate climb before the finish-line. Today's route packs most of the climbing at the beginning and the end – so don't overdo it on the flats after we descend into the picturesque town of Begur! Our goal today is Cadaqués, a whitewashed fishing village on the Cap de Creus peninsula. Long before cyclists starting coming here, Cadaqués was a popular haunt for artists and writers, and many of the 20th century's brightest talents were regular visitors. Regulars included Spain's great poet Federico García Lorca and Pablo Picasso, while Salvador Dalí liked it so much that he built a home nearby. Beginning with a short transfer, we'll climb through lush woodlands on quiet roads towards the Santuari dels Àngels before descending into downtown Girona. Heading west, it's uphill again to Ermita de Sant Joan and then south through the Catalan Transversal Range. The final 20 kilometers take us gently downhill to our new base, the luxurious Hotel Camiral at PGA Catalunya, one of Europe's most prestigious championship golf courses. If you need a midweek break, there will also be a short course option. This is a long one, but all of the climbing is in the first half, so don't let the distance intimidate you. We will first ascend to Sant Hilari Sacalm, before climbing deeper into the lush green valleys of the Guilleries Massif, where our highest point will be the Santuari del Coll. It's a popular climb amongst the locals, and some stretches touch on 16% gradients, but don't worry, as ever you'll be well-supported by our expert guides. A lengthy loop that gives us another chance to strut our stuff as we roll through Girona like a well-drilled professional outfit, today is largely flat – except for the small matter of the famous climb to the Santuari de Rocacorba. Long a favorite with mountain bikers and hikers, this beauty was only paved around a decade ago but has quickly gained a reputation as one of the best climbs in Catalonia. It's also become a bit of an unofficial proving ground for the local pros, who ride here before a big race to gauge their form. Short but sweet, the Caldes de malavella loop is the perfect way to bid farewell to Catalonia. We'll head out and back through the charming spa town from which the ride derives its name, on quiet roads that are rarely flat and never boring.